Atala - I'm a fan of historical movies - I feel they are a great way to spark one's interest in the events of another time while being entertained at the same time (although if you're really interested in history, you probably will want to do your own research to roughen up the smoothed-out Hollywood storylines). 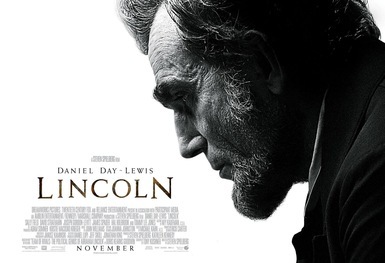 With this said, I was very keen on going to watch Lincoln, even though I understood that the film wasn't a full blown biography, but would just cover the first few months of 1865. I glad to say that I came away learning about an interesting sliver of history that I hadn't been aware of before. In a nutshell, even though Lincoln had issued the Emancipation Act prohibiting slavery two years earlier, he still needed to get an amendment to the constitution ratified by the House of Congress so that slavery's illegality would be made permanent.